I have been asked many times what do I photograph? Many responses I have heard are, landscapes, animals, flowers, birds, people etc. What most influences myself is light and the interaction it has on a subject or object whether it is in the studio or outdoors. In many instances light can be controlled outdoors and in the studio. Many feature films outdoors are shot at night so the lighting can be controlled and not affected by time of day (angle of the sun) or clouds. To a certain extent photographers control the light by the time of day we photograph or the position of the building or landscape, North South East or West. Smaller objects can be controlled by diffusion material subtracting light or adding additional light with reflectors, electronic flash or a continuous light source. When the sun is lower to the horizon especially in the winter, long shadows which are most dramatic compliment a subject. We are working in a two dimensional medium and visually attempting to create depth and a three dimensional look. I try to draw the viewer into the image and experience the object, landscape, building, or person. 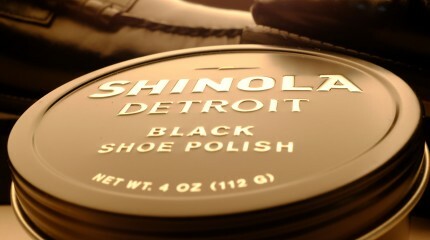 The attached photo is of a simple can of Shinola Shoe Polish. Both the shoe polish and shoes were placed on blocks to emphasize their shapes. 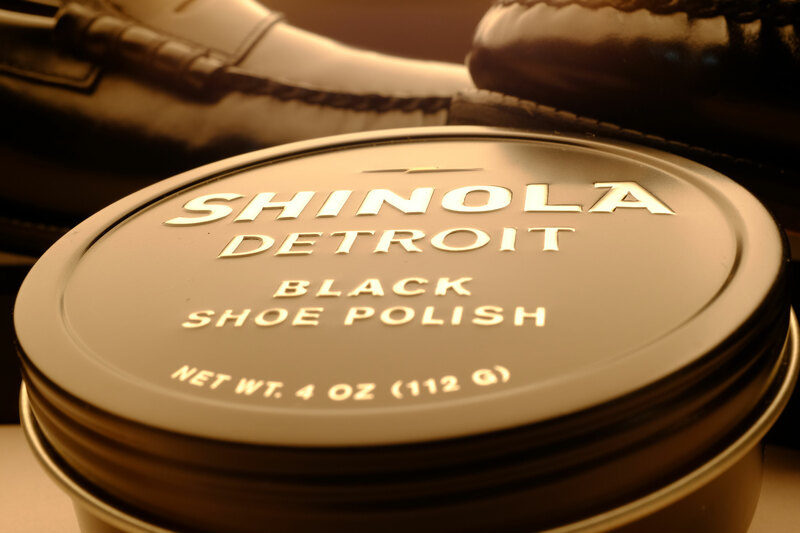 This is a brand that I grew up with and always shined my shoes with Shinola Polish. Choosing a close low camera angle, creates a more dramatic eye catching image instead of a photo of the shoe polish from above. I placed my penny loafers in the background to show how a polished pair of shoes should look.